Presence of microbial communities (microbiota) in an organ system depends on environmental factors, such as oxygen availability. We describe a novel technique to measure bladder urine oxygen tension (BUOT) in ambulatory women and use that technique to compare BUOT values to female urinary microbiota and participant urinary signs and symptoms. 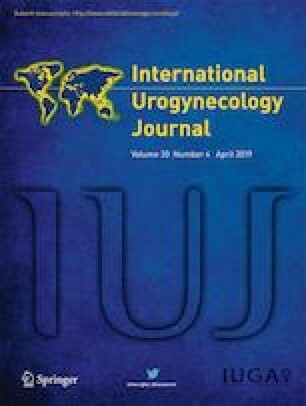 Ambulatory female urogynecology patients presenting for clinical care who were willing to undergo transurethral catheterization underwent BUOT determination with a non-invasive flow-through oxygen sensor. To detect urinary microbiota in the bladder, 16S rRNA gene sequencing was performed on catheterized urine. Multivariate statistical analyses were performed to examine potential correlations among BUOT, urinary microbiota compositions and clinical variables. Significant variation in BUOT existed between individuals (range: 0.47–51.5 mmHg; median: 23.1 ± 13.5). Microbiota compositions were associated with BUOT (p = 0.03). BUOT was significantly lower in urines that were nitrite negative on dipstick analysis (p = 0.0001) and in participants who answered yes to having urinary leakage on the validated Urinary Distress Inventory (p = 0.01). BUOTs can be measured in ambulatory women. For urogynecology patients, a wide range of values exist. BUOT may be associated with the presence of urinary microbiota and resultant signs and symptoms. MB Shannon: none. R Limeira: none. D Johansen: none. X. Gao: none. H Lin: none. Q Dong: none. AJ Wolfe: received research grants from Astellas and Kimberly-Clark. ER Mueller: received research grants from Astellas, is consultant for Butler-Snow/Ethicon and sits on a board for Boston Scientific.